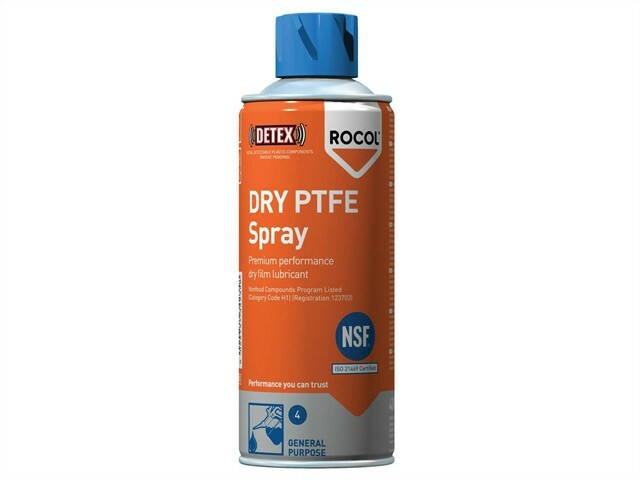 ROCOL DRY PTFE Spray is a non-staining lubricant which gives a low friction, non-toxic, non-stick surface and reduces static. Use on cams, slides, open bearings and chutes. Temperature range -200°C to +270°C. NSF H1 registered, Halal and Kosher certified.